Taken outside of Kiawah Island. 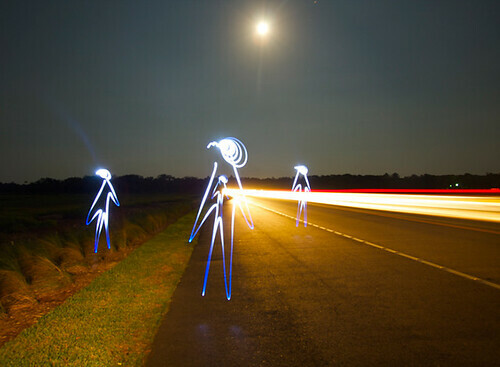 Figures were light painted using a small LED flashlight. The rays of light were created by cars passing by.